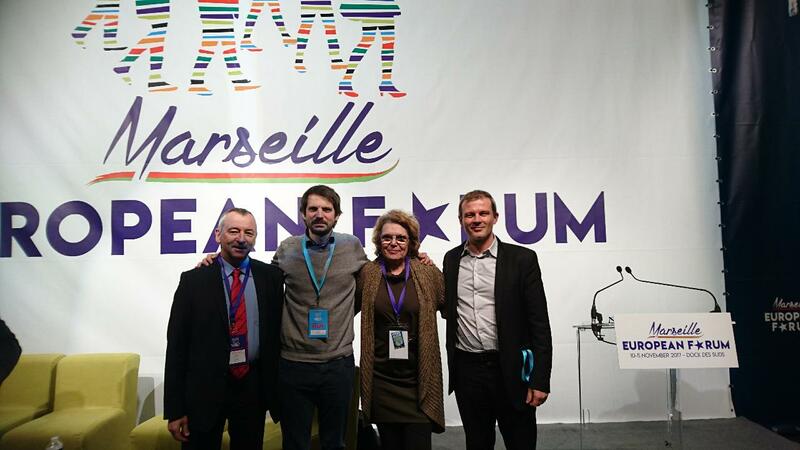 Marie-Christine Vergiat (GUE/NGL, France), Julie Ward (S&D, UK) Ernest Urtasun (Greens/EFA, Spain), Georgi Pirinski (S&D, Bulgaria), Guillaume Balas (S&D, France), Elly Schlein (S&D, Italy) and Emmanuel Maurel (S&D, France) represented the Progressive Caucus and participated in the first edition of the Progressive European Forum in Marseille on 10th and 11th November 2017. During two days, more than 400 participants from a hundred Parties/Organisations/Trade-Unions/Movements/Associations from more than 30 countries to take the floor, listen and debate on different topics, such as on peace and freedoms, labor and social rights or sustainable development. The goal for the next Forum is to continue the work that we have initiated this year, going into more depth and achieving broader and more diverse participation. 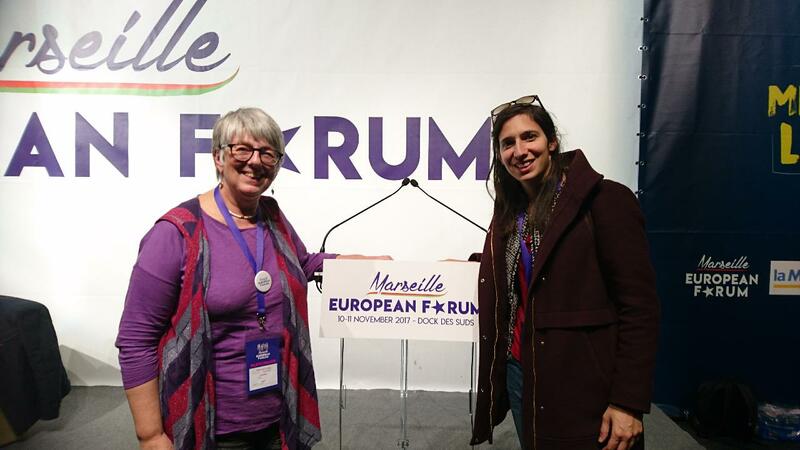 Elly Schlein, MEP S&D: “Together with colleagues of the Progressive Caucus from the Greens and the GUE/NGL, we already achieved a big victory in the European Parliament by reaching a majority on an ambitious Dublin directive reform. This very concrete example shows what we can win when we, progressive forces, come together”. Emmanuel Maurel, MEP S&D: “The nationalists and the far-right are moving as a global front strengthening each other. That’s why it is so crucial for the progressives to gather and come up with common fights that unite us”. 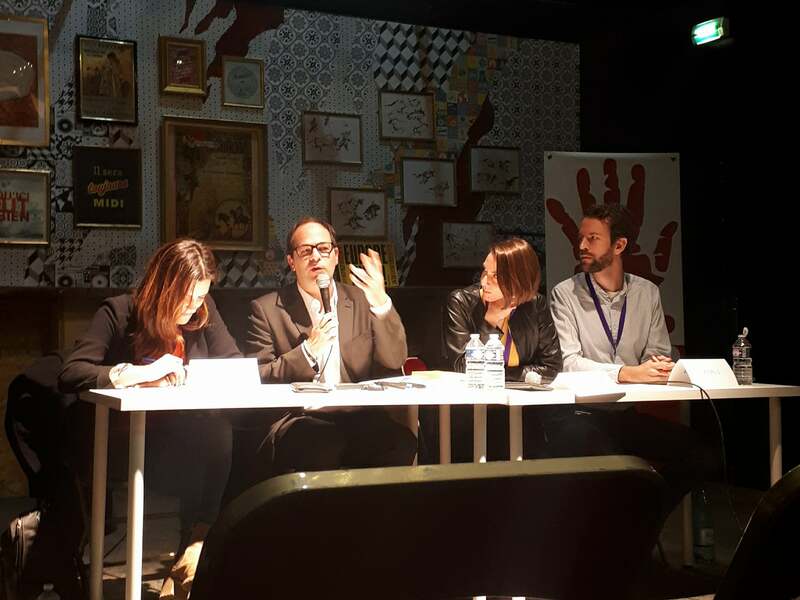 We, as representatives of diverse forces, have gathered in Marseille, 10-11 November 2017, to discuss issues of great concern to millions of people throughout Europe. The aim was to focus on the progressive alternatives to the authoritarian, patriarchal, and anti-social policies of many European governments and European Union, and workers’ diminishing rights. We stand for social and sustainable policies so as to prevent the absolute destruction of the environment and to defend a Europe of Peace. Based on our discussions, and the strong consensus that has emerged therefrom, it is clear that the time has come to help build a space enabling leftist, green and progressive forces from all over Europe to jointly face the challenge of crafting a strategic proposal for developing an alternative model of European integration; one that is horizontal, egalitarian, socially advanced, in solidarity with peoples from other parts of the world, one that fosters a new, fairer international order, and one that is capable of countering current attempts to build an ultra-liberal, authoritarian Europe, displaying a complete lack of solidarity and even xenophobia. What is needed is a powerful consensus that can stave off the advance of the reactionary and fascist forces. To build concrete alternatives, we need to talk, to engage in dialogue, to pool ideas and projects so that we can reach out to the workers that the extreme right is trying to attract, and show them that there is hope, that there are forces, diverse and plural in nature, but which nonetheless all share progressive, feminist, ecologist and leftist values. We will develop new common campaigns having as example the successful experiences like the European grass-roots initiatives challenging the treaties aiming to deregulate the economy, such as the TTIP and CETA, and the campaigns fighting for women’s rights and gender equality. What is now needed is a qualitative leap, and so we believe that it is time to create a permanent space for convergence at the European level. Alternatives to the neoliberal and conservative governments are a necessity to open a path towards stronger progressive majorities. Let us be clear: the idea is to develop a Forum for debate, cooperation and coordination among the various forces who believe that there is an urgent need right now to work toward common objectives and conduct public campaigns on key issues for Europeans. In this regard, we take our inspiration from the São Paulo Forum. We therefore undertake to organise a second European Forum of leftist, green and progressive forces, to be held in 2018. To achieve this we will establish a technical working group, comprising representatives of the diverse forces participating in these two days, which, in consultation with the organizations present here, will propose the format of the second edition. The goal is for the next Forum to continue the work that we have initiated this year, going into more depth and achieving broader participation.